Do You Have Asthma? Find Out Here! It can be tough to figure out if you have asthma sometimes. This is because you might be in denial, and you might not know the right signs to look for when you have asthma. Yet there are things you can do to figure out if you have asthma, and there are signs to look for. Remember, even though we know how to deal with most asthma cases, it is still a dangerous thing to live with. 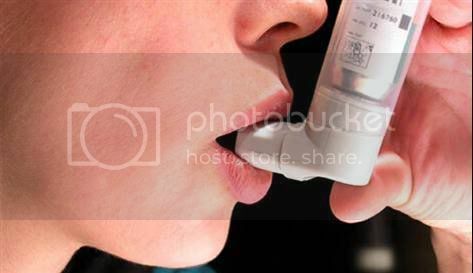 Taking precaution is key when you have asthma, and in order to ensure that you are taking precaution you have to know if you have asthma or not. Uncontrollable coughing all the time is usually a sign of asthma. If you find yourself coughing all the time out of nowhere then this can be a sign of asthma. There are usually some type of triggers that make you cough, things like the cold weather can get to your lungs and set you off. Take note of each of your cough attacks, and if they aren’t associated with something like a cold or flu, then you might have asthma. Becoming sensitive to dust and other particles such as dog hair. If you find yourself sensitive to particles such as dust and dog hair then this might be a sign that you have asthma. If you are simply sneezing because of these particles then it might mean that you have an allergy to them. However, if you are coughing and can’t control it, and find yourself short of breath, then it might mean that you have asthma. Finding yourself short of breath during exercise. This can be a tough one to figure out, but if you think that you don’t have as much stamina as other people because of your breath then you might have asthma. Mild attacks could happen to you and you don’t even know it. If you find yourself wheezing and coughing for several minutes then this could be a minor attack, and it could mean that you have asthma. Consulting a doctor. If one or all of these signs is leading you to indicate that you have asthma, then you are going to want to try your best to consult with a professional. Don’t put this off for a long time; figure this out as soon as possible so you know where you stand. Far too many people think that asthma is something they can control themselves, and they think that it isn’t something to take serious. Everyone should take asthma seriously, so if you think you have the signs of asthma, then get a professional opinion. In the end, it is up to you to take care of your body. Failing to act on your assumptions could result in your having a severe asthma attack one that could put your life at risk. Protect yourself and your future by checking to see if you really have asthma or not, because if you don’t then you won’t know what to do.